Haiti MSME was launched by the U.S. Agency for International Development (USAID) to improve livelihoods and create employment through broader access to financial services. MSME leveraged prior USAID project successes to reach a target population that includes both potential generators of income and livelihoods (such as rural and agricultural micro, small, and medium enterprises and market-oriented enterprises) and poor and vulnerable populations (for example, out-of-school youth, HIV/AIDS-affected people, women, and rural communities). DAI spurred the development of innovative financial services for the target population through its intermediaries, including microfinance and other financial institutions and financial service associations. The goal was to enable the target population to access financial services that would help them weather economic shocks, respond to market opportunities, and invest in business growth. Jumpstart product development initiatives, eliminate regulatory constraints, and solidify microfinance and other financial institutions’ capacity. Launch and manage the Performance Innovation Fund, a $1.2 million grant fund that helped Haitian institutions develop products adapted to Haitian needs and improve their capacity to manage increased product and client diversification. Assist those financial institutions best positioned to expand the delivery of financial services to MSMEs. Haiti MSME paired local technical specialists to transfer knowledge. Conduct an annual microfinance census that analyzes industry trends, sharing institutional performance information for core institutions, compiling a directory on microfinance institutions’ product and service offerings, and disseminating geographical information system maps to illustrate the distribution of financial services. 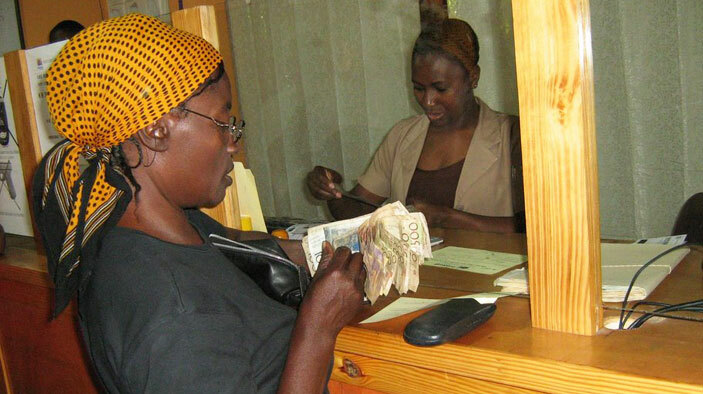 The number of microfinance clients increased from 200,322 at the start of the project to 400,925 by the end. The total credit porfolio grew from $43,507,999 to $65,1014,136, and the savings mobilized by our partner institutions totaled $33,650,829—up from a baseline of $13,173,653 at the start of the project. The number of rural clients increased from 105,302 to 181,379. Partners introduced 21 new product innovations, with 70,080 clients benefitting from the new product introductions. Nine new value chain financing solutions were launched during the contract period. Points of services grew from 110 to 205, with approximately 86 percent of them of Port-au-Prince in rural area1s.